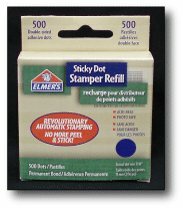 Thin dots for fast, accurate application. Easy to remove from stencils, templates, rulers, mats, and more! The Sticky Dot refills.